There's just something about fall that makes me really excited about fashion. Sweaters and boots just sound so cozy and appealing. So I played around on Polyvore a little while back and had fun putting together some outfit inspiration for one of my favorite seasons. I love Polaroid pictures and I am sad that Polaroid couldn't survive. Film is now being produced by The Impossible Project at the former Polaroid factory in the Netherlands, it is more expensive than it used to be, but they keeping working to improve the product and have made it so my Polaroid camera doesn't have to a bookend. 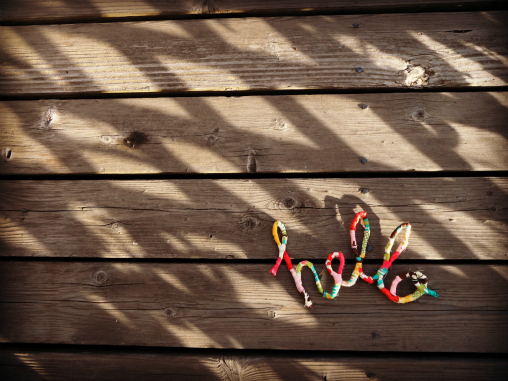 Even with the current state of Polaroid, we can still use Polaroids as inspiration for other crafts. 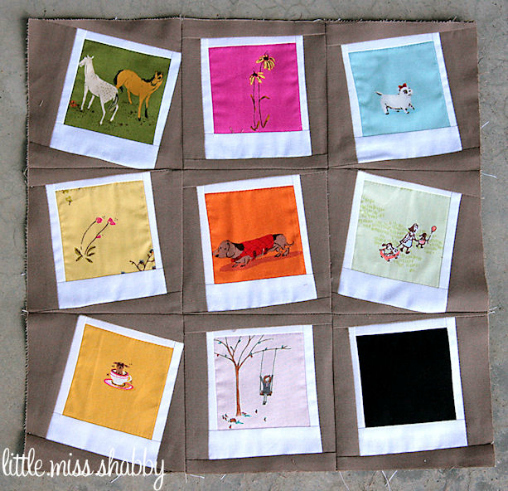 I would love to make a Polaroid quilt block like this one from Little Miss Shabby to make into a pillow. 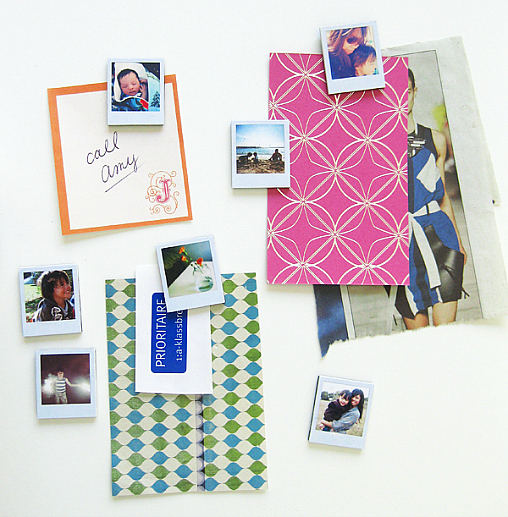 And how cute are these tiny Polaroid magnets from Jenn at Ambrosia Creative? 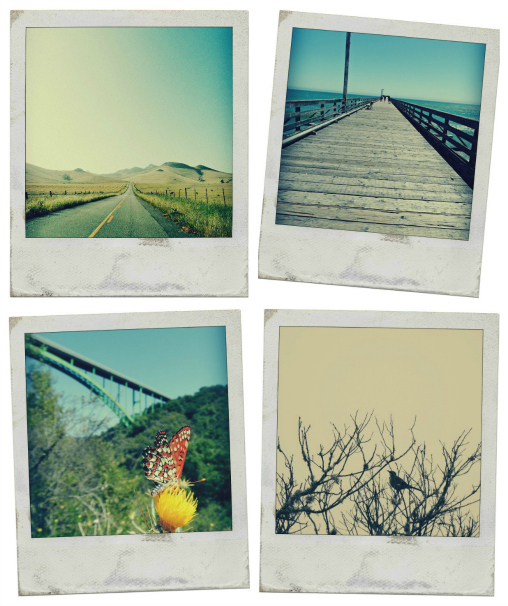 Or you can make your own digital photos look like Polaroids by using PicMonkey. I'm embarking on another one of my 26 Before 27 goals. I'm attempting to grow some plants from seed. 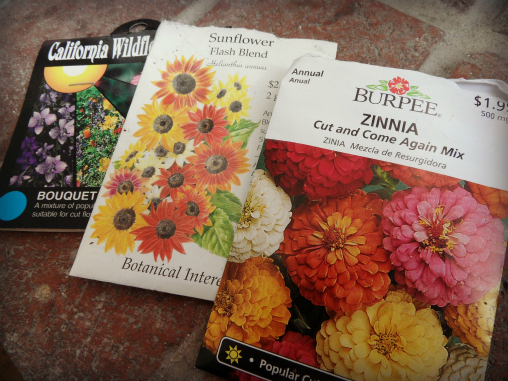 I'm growing some zinnias, sunflowers, and a wildflower mixture. I always attempt to grow wildflower seeds by spreading them in the yard but I'm not good enough at watering them. 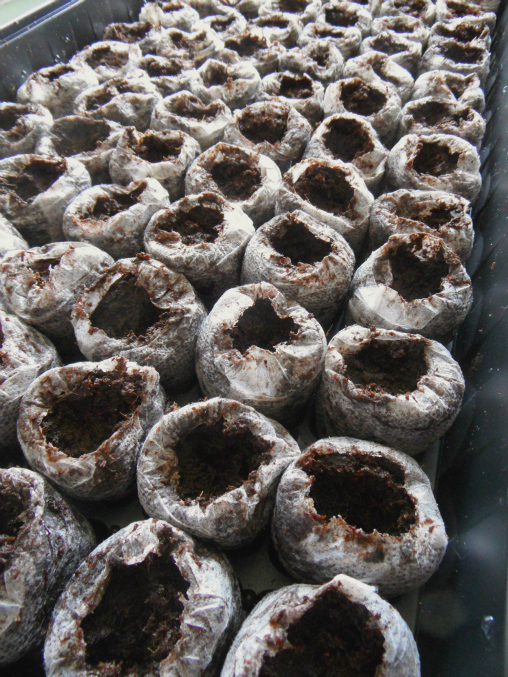 So, hopefully the little greenhouse will put them off to a good start before they have to face the real world. And I will get a surprise of what might come up. 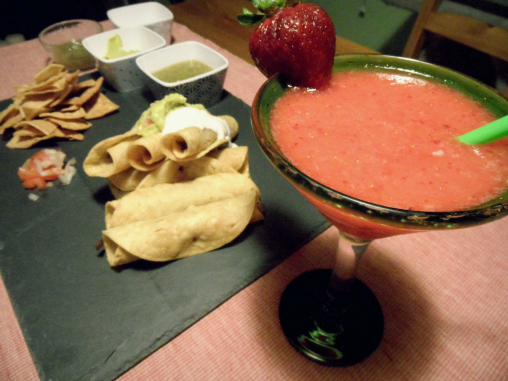 Last night Graham and I made ourselves a delicious Mexican feast, that would make a great Cinco de Mayo dinner. One of my 26 before 27 goals is to try making a new recipe each week, so this week we made steak taquitos. We kind of just made up the recipe, so I think that definitely qualifies for "try a new recipe". We use left over steak from a previous dinner, which made it even easier. Mix the above ingredients together, amounts based on how much of each flavor you want present, and roll them up in a warm tortilla. Secure each taquito with a toothpick. Then fry in batches until they reach a nice golden brown color. 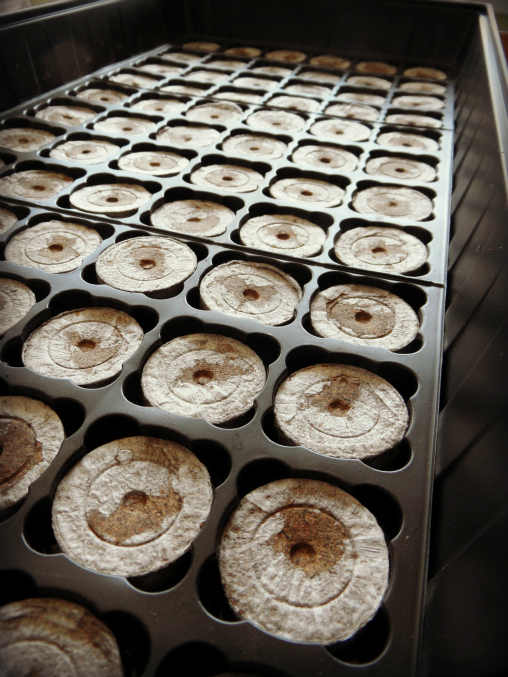 They are really pretty easy, definitely something that you can play around with to adjust for taste and ingredients. 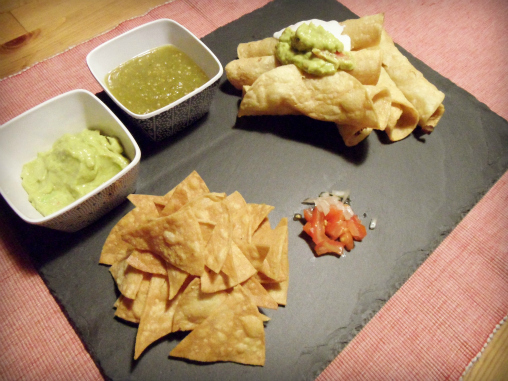 And they turned out totally delicious when served with sour cream, salsa, and homemade guacamole. It also doesn't hurt to serve them with fresh chips and a margarita. 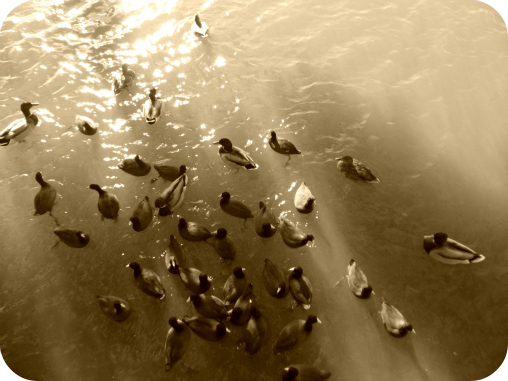 Today's photo: Coots and ducks at Laguna Lake. The rest of the day I kept singing, "Coots and ducks and geese better scurry, when I take you out in my surrey." It was driving Graham and myself insane, but at least I like musicals, unlike poor Graham. 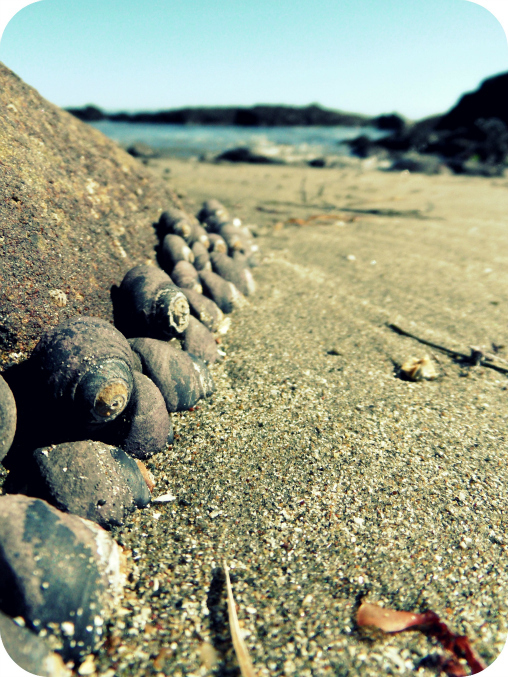 Today's photo: Snails at the beach from a beach-combing walk a little while back. I've been busy this week working on projects in my craft room. I'll have to take some pictures this weekend to share what I've been up to.